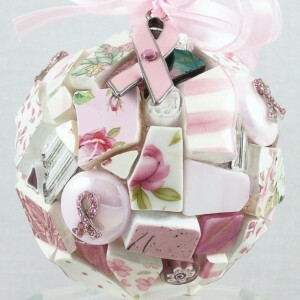 PiNkY's ViCtOrY™ & cO. is an on-line specialty shop offering one-of-a-kind mosaic glass ornaments. 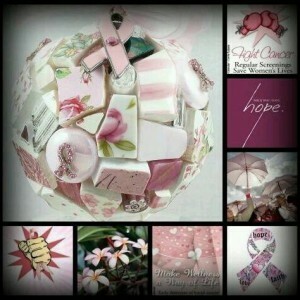 Each ornament is handcrafted and durable; available in 10 vibrant colors, featuring "Pinky's Victory™," a pink-ribbon ornament I created in honor of my mom, a 23-year BC survivor, to raise awareness and money for breast cancer research. 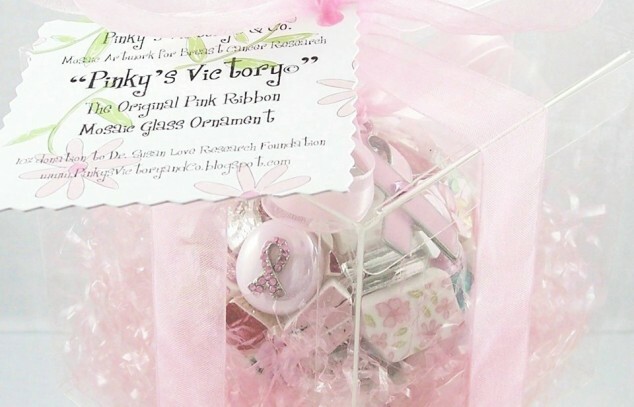 20% of the proceeds from "Pinky's Victory™" goes to the Dr. Susan Love Research Foundation--a 501(c)(3) non-profit organization that bears the Humane Charity Seal of Approval and supports the use of non-animal-testing methods of scientific research. Remember to LIKE us on Facebook!